Carbohydrates are the easiest source of energy for the body. Thanks to this they contribute significantly to the performance of athletes and also to their regeneration. 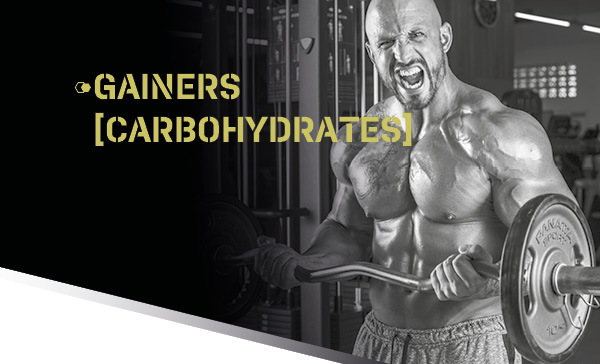 Products which contain carbohydrates as their main nutrient are generally referred to as gainers or carbohydrate concentrates. 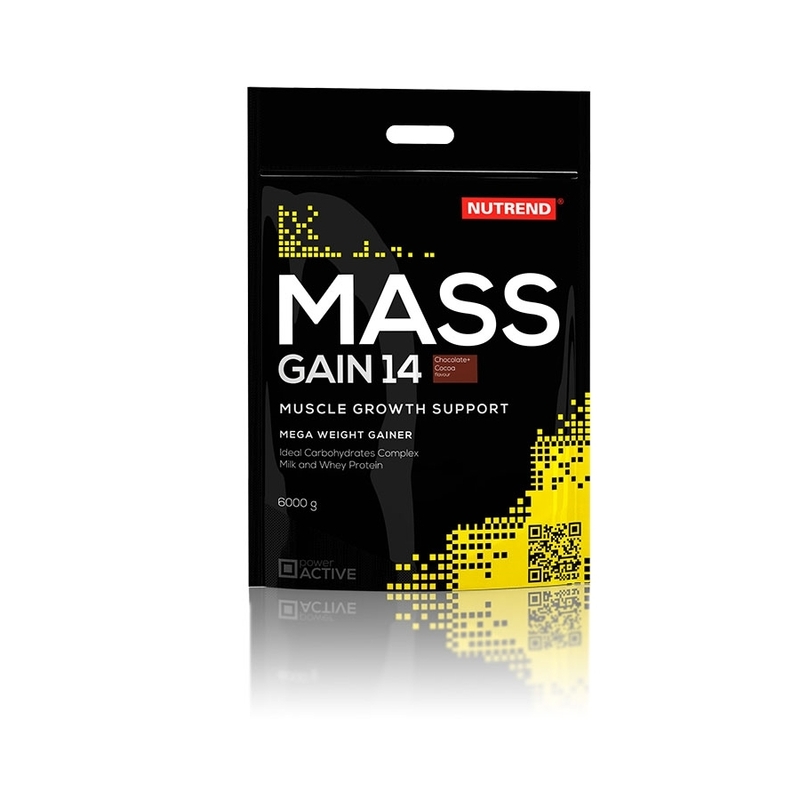 Gainers include a combination of rapidly usable and slow-release energy sources, but also a certain proportion of proteins that are the basis for building muscle mass. 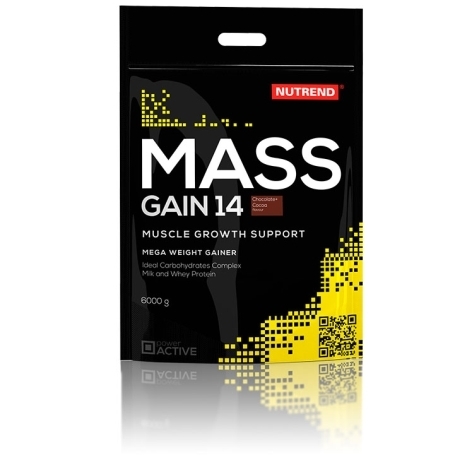 Gainers are used in particular to prevent the breakdown of muscle proteins. An extraordinary gainer designed primarily to promote regeneration after extremely demanding physical activity. 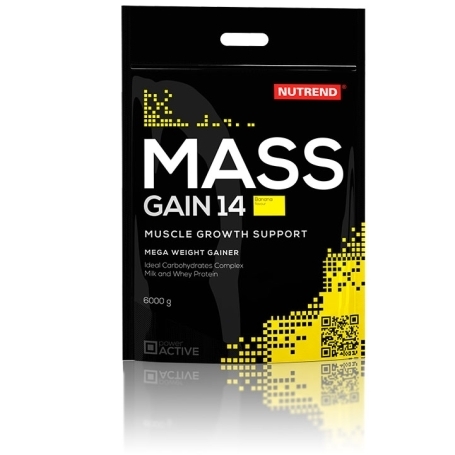 The protein is mainly represented by the whey protein concentrate (WPC) and the carbohydrate complex is composed of maltodextrin, glucose, fructose and inulin. An extraordinary gainer designed primarily to promote regeneration after extremely demanding physical activity. The protein is mainly represented by the whey protein concentrate (WPC) and the carbohydrate complex is composed of maltodextrin, glucose, fructose and inulin. MASS GAIN 14 can be used after intensive physical activity to replenish glycogen stores, but at the same time as the last light meal before demanding physical activity. For better effectiveness, this product is enriched with a multivitamin complex. Intended for: recovery improvement after training, energy source before physical activity. 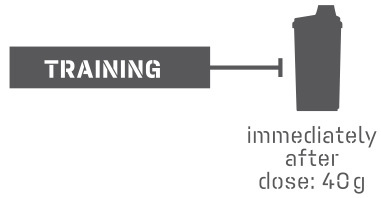 Recommended dosage: one serving = 40 g. We recommend consuming it shortly after the end of training. Enjoy max. twice a day, depending on your diet. Warning: Foodstuff suitable for athletes, with natural sweetener and sweetener. Intended for particular nutritional uses. Not intended for children, pregnant and nursing women. Keep out of reach of children! Producer is not liable for any damages caused by improper use or storage. Banana: maltodextrin, whey, whey protein concentrate, milk powder, glucose, aroma, fructose, inulin, L-Glutamine, emulsifier soya lecithin, anti-caking agents calcium phosphate and silica, multivitamin premix (vitamins: E, B1, B6, B2, B12, B3, B5, H, C and folic acid) sweeteners acesulfame K and sucralose, colouring agent β-carotene. Allergens: lactose, soya. Vanilla: maltodextrin, whey, whey protein concentrate, milk powder, glucose, fructose, inulin, L-Glutamine, emulsifier soya lecithin, aroma, anti-caking agents calcium phosphate and silica, multivitamin premix (vitamins: E, B1, B6, B2, B12, B3, B5, H, C and folic acid), sweeteners acesulfame K and sucralose colouring agent β-carotene. Allergens: lactose, soya. Apricot: maltodextrin, whey, whey protein concentrate, milk powder, glucose, fructose, inulin, L-Glutamine, emulsifier soya lecithin, aroma, anti-caking agents calcium phosphate and silica, multivitamin premix (vitamins: E, B1, B6, B2, B12, B3, B5, H, C and folic acid) sweeteners acesulfame K and sucralose, colouring agent carmine and β-carotene. Allergens: lactose, soya. Strawberry: maltodextrin, whey, whey protein concentrate, milk powder, glucose, aroma, fructose, inulin, L-Glutamine, emulsifier soya lecithin, anti-caking agents calcium phosphate and silica, multivitamin premix (vitamins: E, B1, B6, B2, B12, B3, B5, H, C and folic acid), sweeteners acesulfame K and sucralose, colouring agent carmine. Allergens: lactose, soya. Chocolate + cocoa: maltodextrin, whey, whey protein concentrate, milk powder, cocoa, glucose, fructose, inulin, L-Glutamine, emulsifier soya lecithin, anti-caking agents calcium phosphate and silica, multivitamin premix (vitamins: E, B1, B6, B2, B12, B3, B5, H, C and folic acid), sweeteners acesulfame K and sucralose. Allergens: lactose, soya.